It is critical to find the right balance between flexibility and control to allow future ideas to emerge and successful ones to be realised. Innovation systems must take into account these factors, thus the complexity in managing them effectively, maximising potential results and reducing risks. A way of dealing with complexity is to consider innovation using a systemic approach. Because of the role that technology plays in today’s innovations, technology managementis at the centre of this system. New practical ideas might also emerge from the middle management which is typically tasked to make things happen. The type of product or service, the competitive landscape, the size of the organisation will also have an impact to how innovations are ‘funnelled’ and managed. Internal changes will have to be implemented (with the support of the existing employees to be effective), considering for example the need for ‘integration’ of new comers into the existing organisation and cultural context. Effectiveness depends on user influence which increases as they accumulate experience and can articulate detailed requirements. Innovations are typically driven by ‘technology push’ (technology or invention searching for an application) or ‘market pull’ (industry response to market need or new legislations). 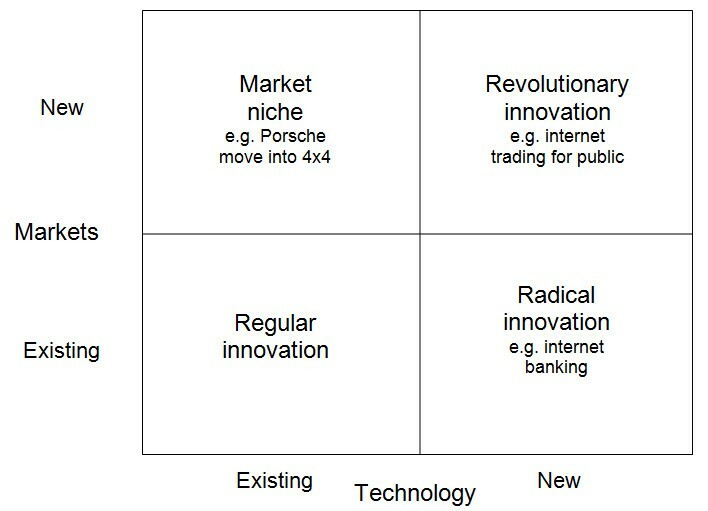 The market dimension suggests a clear distinction between revolutionary and radical innovations thus different approaches of managing effectiveness. Hence the importance to put things in context of the internal and external environments. The internal environment is influenced and can influence the near externalenvironment, while the far external environment is not impacted by changes in the internal system. Supply chain and partners are part of the near external environment. Some might also operate onsite as if they were part of the internal system. The internal system is composed of corporate strategy, internal R&D process, learning organization, creative resources and creative project office. The key element of this system is to be able to generate innovative ideas to successfully manage change, sustain operational stability and transform new ideas into competitive advantage. Being ‘innovative‘ relates to the systematic capacity of organizations to successfully exploit new ideas in a commercial context, wherever and whenever they arise and to whatever they might be applied (secondary input or primary output to the typical transformation model). There is a distinction between creativity and innovation. 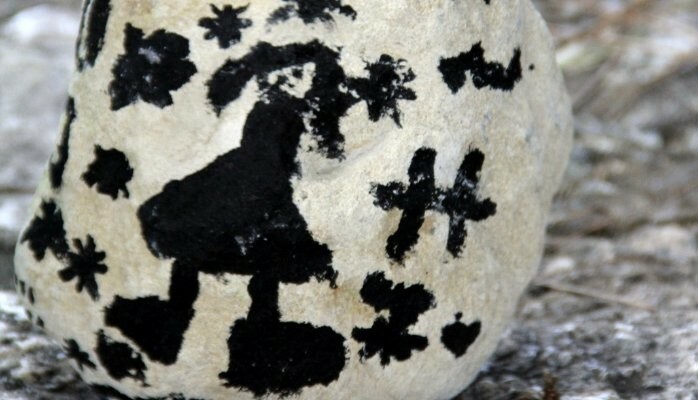 Whereas the dominant focus of creativity is on the individual (creative resources), innovation is more firmly located as a property of the organization (internal R&D process and intellectual property that is capitalised within the learning organization) – both are important, are symbiotic and respond to organizational management (creative project office and strategic leadership team). There cannot be innovation without creativity, and there is little point in a company having individually creative employees unless that is channelled into innovation benefiting the organisation and its customers (thus the process oriented approach). It is also important to consider the external environment as an input to the internal (primary or secondary, direct or indirect influence) to ensure that environmental changes are pro-actively managed within internal processes. The planned strategy must take into account contextual parameters to control the balance between the realised and emergent strategies. Because of the uncertainty and risks in dealing with new technologies, it is important to continuously evaluate the company’s transformation model and to adjust the organizational objectives accordingly. The organization is also to develop and retain innovative people and (their) ideas in-house. Product Life-cycle Management (PLM) can influence the level of innovation by helping to manage dependencies and constraints (people-process-technology), starting from high level of innovation to incremental process innovation in a mature industry. 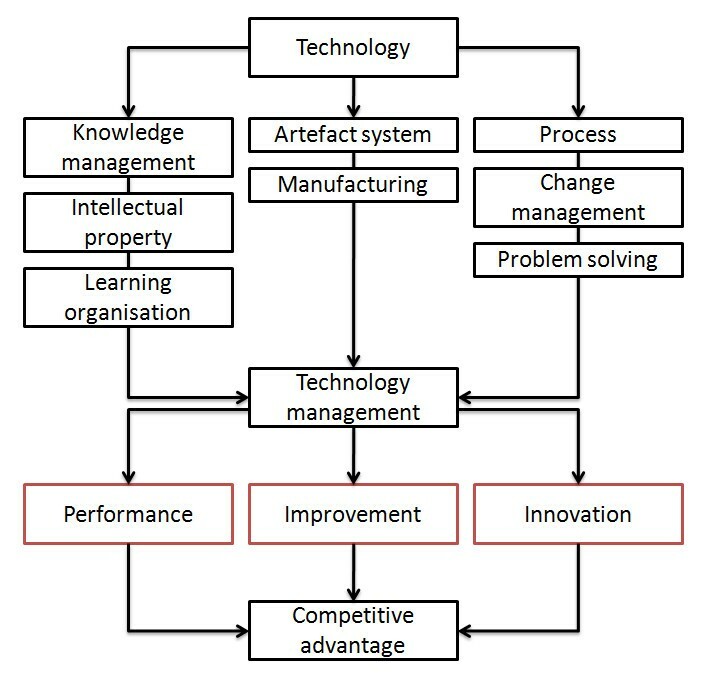 In the automotive industry, this translates by a New Product Introduction (NPI) framework, and detailed business processes to enable the management of ideas and data related to Bills of Material (BoM), Product Data Management (PDM), CAx integrations, technical publications and electronic work instruction, risks and issues, portfolio management, product feature management, etc. For a service-led organization, a reverse product cycle might be appropriate, starting from improved service efficiency, to improved quality and the development of new services. It is critical for an organization to know how to manage innovation in an effective way, to be able to perform well and make a return on its investments. This post was originally published on LinkedIn on 23 March 2015.